When Mother Nature can’t decide if it’s going to be cool or warm, I opt for a sweater and some jeans with ventilation. Typically pastels aren’t my thing, but for some reason, this baby blue turtleneck really caught my eye. Probably because I was cold and just wanted to snuggle up with it. 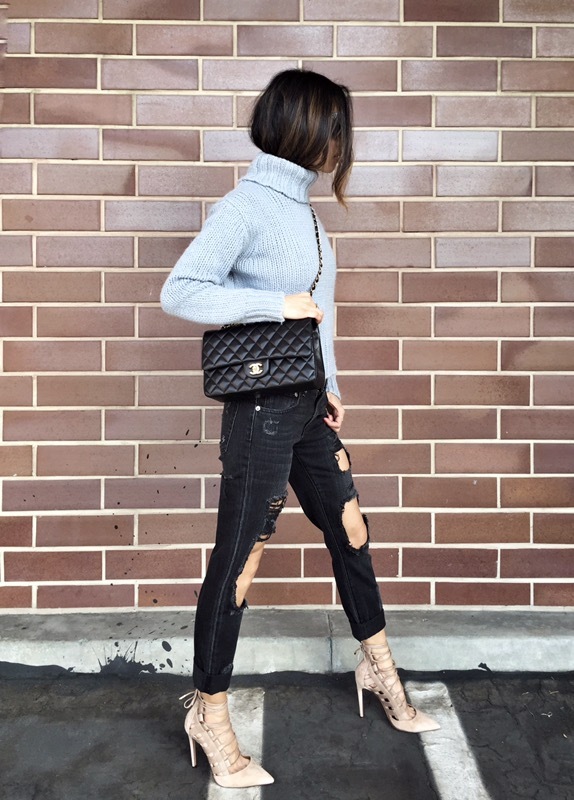 I love the fact that it’s cropped (but not too cropped), so it’s not your momma’s turtleneck. One of my favorite things to do with a turtleneck is to tuck my hair into it and pretend I have a totally different hairstyle, or I snuggle my face into it and hide.